Armor is the premier asphalt, paving and sealing contractor in Central Ohio. We strive to be your full-service surface maintenance partner, and are committed to providing only the best customer service, materials, and value for our customers. See what our customers have to say about our services. At Armor, we treat surface care as a lifecycle, not a one-time visit. 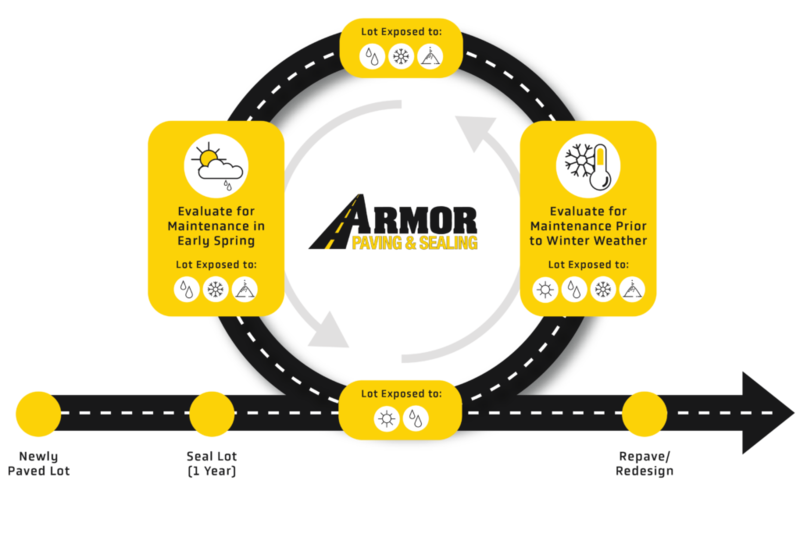 Our approach focuses on pavement preservation, which allows us to implement the most cost effective option to extend the life of your pavement. Armor exists to serve others and bring value to properties by providing complete surface maintenance & installation.